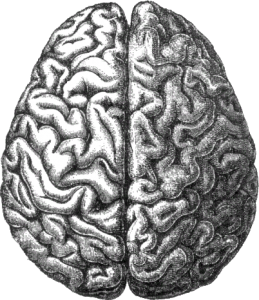 The human brain is, put simply, an amazing piece of biological hardware. Described by author Anil Seth as, “. . . [t]he most complex entity that we know of,” the human brain contains more than 90 billion—yes, “billion” is a “B”—neurons, or nerve cells. But as pointed out by neuroscientists, psychologists, and others who are involved with brain science, although our understanding of the human brain is fairly good, there is still a lot more to uncover. During this Brain Awareness Week, it remains important to become aware of our brains, and perhaps understand this amazing organ that is (so far) unlike anything else in nature. It remains outside the scope of this article to dive really deep into the brain’s anatomy. That said, however, it may be helpful to know about a few brain basics. The human brain is divided up into various regions, lobes, systems, and cells. Put simply, one way neuroscience tackles studying the brain is by focusing on a particular system or region. It is also important to note . . . although the brain has been mapped out in detail, the complexity of these interacting systems is still something brain science has yet to understand completely. As mentioned, the human brain is unlike anything else we know of in nature (so far). And although these are impressive feats for such a small animal, the human brain – unlike the bee’s brain – is able to reflect back on itself. In other words, the human brain is the seat of consciousness, although how consciousness arises from the brain’s hardware continues to remain a mystery, a mystery that scientists are working hard to uncover. Meanwhile, humanity’s understanding of the human brain has come a long way, although there is still a lot of road left to travel. From synapses to the pre-frontal cortex, the brain has been mapped, as the brain’s geography has revealed its structure and its secrets. Finally, Brain Awareness Week – which is taking place March 11 – 17, 2019 – remains a good time to learn more about the wonders that are literally right inside of your head. Seth, A. (2012). 30-second brain. Metro Books, New York, NY.